One of my new LinkedIn contacts Stephen Morley, Sports Development Officer at Cambridge City Council posted this question on the Beyond Diversity group on LinkedIn. He stated. “For a long time I have felt that a major inequalities is how woman give up their family name to take on their husband’s after marriage. I’ve been married for nearly forty years and neither of us questioned the fact that Miss Clyrene Harris would become Mrs Clyrene Morley when we married. I don’t believe my wife had any strong feelings about it, it was just the norm. As I’ve got older I’ve really begun to question this practice. Why should a woman give up her name and take on that of their partner? When the Danish Badminton player Peter Gade married Camilla Hoeg, he became Peter Hoeg Gade. Sunniva Heggertveit-Aoudia, Consultant, Trainer, Mentor and Coach appreciated Stephen’s comment and question and added that “There are different practices across the world, not all cultures perform the name changing after marriage. In my home country, Norway, it is very common to keep both names: maiden name and husband’s name. I now live in France and was horrified when I got the first tax papers; I no longer had a name! I had become Mrs Husband’s Last Name, Husband’s First Name! I think it says something about women’s status in society: you don’t even have the right to your own name. Later on my bank changed my name without asking me, to my first name and husband’s last name. I was very angry! But, talking with other women, they had not thought much about this practise; “it is just the way things are”. However, it seems some women around me now start noticing these inequality for women due to the fact that I started commenting on them”. Stephen then went on to acknowledge that from time to time his wife still receives correspondence addressed to Mrs Stephen Morley, which in his opinion is a step too far. Is this discussion yet another example of the general status of women in our society. I suspect there are not so many men that would give up their claim to a family name and the connections that go with it, so why should society (and many men) expect a woman to so do. I am conscious of how this name changing practice impacts on children too. In most societies, it is the norm to give them the father’s last name, or in more aware families double barrel it with the mother’s name. In my case our two children have the mother’s family name as their surname. I was recently asked, after introducing my son to a business contact, whether his mother and I were divorced. Never married was the answer and still very much together. She did not change her name and the children have hers. The person who asked the question wondered how that made me feel. I asked him how his wife felt not passing her family name on to their children. He had never given it a moment’s thought, which is no surprise really. 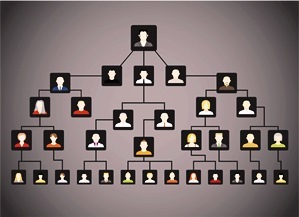 When you think about it, which family names appear on your family tree? This is another interesting gender inequality that seems to set in societal stone. I think it’s time to get the hammer out and start smashing it! This entry was posted in beyond diversity, community, gender equality, inequality, Sexism and tagged cultural difference, France, Gender equality, Husband, Married names, Norway, Wife. Bookmark the permalink. 8 Responses to Your Family Name – following the mother or the father? Interesting post Michael. This one did get me thinking. I do see one or two issues with the existing alternatives that you propose. Firstly, if double barreled names are used as a joint acknowledgment of both the mother’s and father’s family names, then what happens with subsequent generations? If two people with double barreled names have youngsters, then decisions would need to be made as to which name they are given, otherwise they’d have to have quadruple-barreled names and so it would grow through further generations! Your own children have taken their mother’s family name. I don’t see how that reconciles things, as all it does is swing the same pendulum in the other direction. It may seem fair, after generations of it being the other way round, but doesn’t really, truly sort the issue. Would I be right in saying that your partner’s name came from her father’s line in the first place? In which case, it would still stem from the paternal line, albeit one generation earlier. Actually, is there a need for a family name that is passed down at all? Perhaps the best solution is for parents to agree on a surname for their children that is completely neutral, in other words, made up. That way there would be no dispute. Each subsequent generation may end up with a different surname of their parents’ choosing and no gender bias or conflict would exist over the issue. Of course, Chris, I am not proposing any particular solution, just posing questions that acknowledge the complexity of the situation. As you suggest a chosen family name might work, though there would, over time be the loss of history and attachment to the past. Perhaps daughters carrying the mother’s name and the son’s maintain the father’s may be another offering. As ever, it’s easier to find the questions to pose than the answers for them. Chris, if I may bring the Norwegian example again. The children are given the last name that the parents decide, which often turn out to be double names, indeed. The next generation then choose which “selection” of names they want. It is rare, but it does happen that a man takes the wife’s name. There are many people with the last name “Hansen”, “Olsen”, “Jensen”, etc and if the wife has a more special name a few men have chosen to change their last name – and passing it on to the next generation. I don’t see any difficulty with the multi-name practise, rather a possibility to choose instead of being on “auto pilot”. I am married for the second time and did not change my name on either occasion. My children’s names include my surname, their father’s name and two forenames – so they have plenty of choices about how they identify themselves. The two of them have never used anything other than their father’s surname as far as I know!. Recently I have spent a lot of time researching family genealogy. The constant changing of women’s names makes them hard to trace and often they are ‘invisible’ to family members. Ask people what their grand grandmother’s maiden name was and you will see what I mean. I have no daughters of my own but I do feel as if our female history is constantly being swallowed up into male genealogy. I have talked to several men about this who see this as a ‘non issue’ but then it is their names the children carry and their family tree that is being traced with ease. Those men see it as easier or more convenient to have things the way they are – but I do wonder if it were women whose names came down through the family, whether men would feel this eas easiest (it is not more difficult than the other way round after all!). For me the emphasis on paternal surname is part of the obsession with virginity, primogeniture, and patriarchy which leaves women as brood mare and property in so many societies. Whilst it is far from being the biggest deal (FMGM comes to mind as a bigger priority) it would be nice to feel that the wonderful women who are my ancesstresses will not be constantly erased, ignored and sidelined. My children have my family name as a middle name and use their mother’s name as their surname, which I found quite a problem at first, but soon got over it. For men to let to of the patriarchal culture they were probably brought up into is hard, but for me has proven very worthwhile. When I got married I felt reasonably strongly about my family name (I fully recognise that that is a somewhat one-sided view well balanced by my wife’s equivalent views on her own family name). I have mellowed since then and aside from the fact that it is a regular pain that my wife steadfastly refuses to alter her passport, causing occasional issues in booking tickets, we continue in the traditional manner. One thought though, certain names work in tandem, others like ours which are 2 and 3 syllables respectively just don’t sound right. Therefore it is not always a good option. The point has been made that a girl’s family name is only the name of her father and so not necessarily an improvement and so just displacing the issue. Reference has been made to the older Scandinavian system (certainly used in Iceland) which used to refer back to the child being the son or daughter of a person (usually but not always, the father). A further point is that surnames are a comparatively modern invention and a trickle down from the landed gentry, I think. Perhaps the answer is to come up with some agreed name (agreeing with Chris M) . It is after all comparatively easy to change a name as long as it is not intended to do so for a fraudulent purpose. Admittedly this may require more effort than most wish to expend. I know several women who have gone back in their family tree and changed their name to that of their mother’s mother’s mother, or further if known. This way the female line is protected. Why do we need an “answer” or a given system?